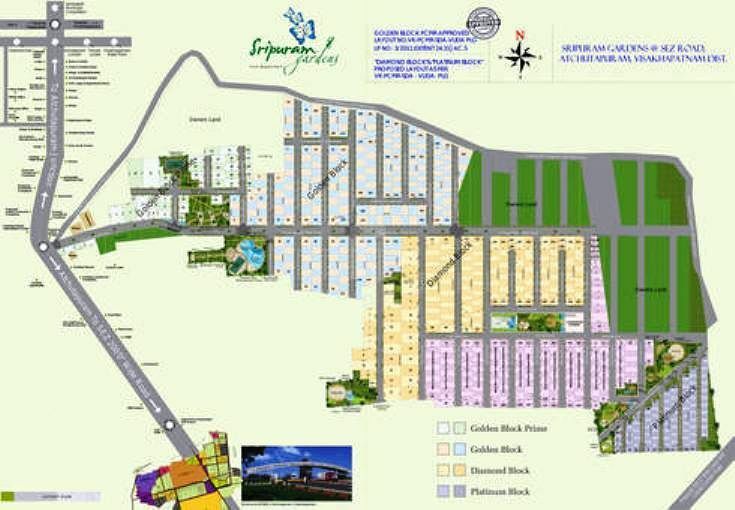 How Far is Sree Sesha Sai Sripuram Gardens Plots? Achutapuram region of Vishakhapatnam is now the center of a residential project, which is made by the Sree Sesha Sai Sripuram Gardens Plots Real Estate Company. These projects deliver great plots, which are rooted with fine quality materials. The cost of the plots is based on the request value.